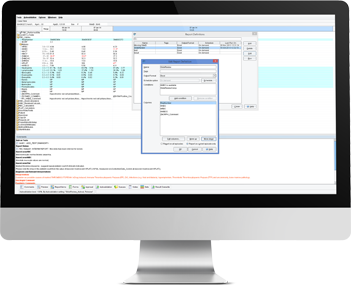 Our Expert Plus solution automatically applies a Clinician’s expertise to each case in order to generate patient-centric reports, at the same time as offering real-time patient monitoring, alerting, data mining and reporting capability. Through Expert Plus, health organisations are able to replicate a domain expert’s unique decision making process at scale, enabling a higher volume of decisions to be made at a rapid pace, and with absolute accuracy. Advanced clinical decision support with real-time monitoring and alerting. Our Expert Plus solution automatically applies a Clinician’s expertise to each case in order to generate patient-centric reports, at the same time as offering real-time patient monitoring, alerting, and reporting capability. RippleDown Expert ensures the best possible interpretations of results are automatically delivered to referring Clinicians. These interpretations are highly patient-specific and also include follow-up tests and recommendations. Expert aggregates data from various data sources to generate meaningful and insightful information. RippleDown clinical decision support interrogates disparate data sources to provide a more insightful review of the patient, leading to significant improvements in the decision making process and improve operational workflow. Through Expert, health organisations are able to replicate a domain expert’s unique decision making process at scale, enabling a higher volume of decisions to be made at a rapid pace, and with absolute accuracy. To request for a demo, please fill out the form below.